Note: This post was originally a reply to a discussion on Hypercriticism. I have tried to clean it up and reorganize it so it makes better sense, but the argument is essentially the same. I have changed my views slightly thanks to engaging other bloggers like Doone and Milady, but this is ultimately a good thing. My first post in this series made a crude typology outlining the differences between simple, ladder and world PvP. I would like to further develop this argument by discussing the issue of asymmetry and fairness in persistent worlds. For the sake of clarity, a few definitions are in order. I will be discussing PvP in the context of persistent virtual worlds as can be found in MMOs such as WoW, EVE Online, Planetside 2, Darkfall and DAOC. I am not discussing PvP found in balanced, controlled and instanced environments which reset once a match is concluded (i.e. league matches in League of Legends, Starcraft 2, and WoW Arena/Rated BGs). A key feature of world PvP is the persistence of the world, which has a number of implications for balance. I define asymmetry as the imbalance of power which exists between players in MMO worlds based on variables such as character level, player skill, gear, time invested, social-in game affiliations and so on. Fairness is much more difficult to define, and varies in degrees from person to person. Perusing a dictionary gives me evenhandedness, free from bias; just; impartial. A cursory comparison of asymmetry and fairness immediately tells us these two terms appear incompatible. My question then becomes why rational, self-interested players would be willing to put up with glaring inequalities which characterize world PvP. I accept that there are many reasons to play world PvP, ranging from puerile ones like the desire to "pwn" "nooblets" to the desire to test oneself against constantly adapting human opposition. But the fact is, there is a sizeable number of intelligent, seemingly rational players who choose to make these seemingly toxic virtual worlds their home, and I would like to address why this is the case. I am going to approach the problem of asymmetry and fairness by adopting the following approach. Firstly, I would like to argue that asymmetry is a systemic aspect of open world PvP, and in fact constitutes much of its appeal to its existing player base because it allows gameplay elements which cannot exist in balanced games. Secondly, I would argue that players are willing to tolerate asymmetrical encounters as long as they believe that equal opportunity exists in the world. Going back to the dictionary I saw a definition which resonated to me as a fan of open world PvP. Under informal was written "a fair go", which is an Australian colloquialism for equal opportunity. Could it be that fairness for people who play open world PvP doesn't lie in the uneven fights in the world, but rather in the equality of access to power? h) A player chances on another mining unawares in the world. The first players swigs a flask, eats some buff food, and attacks the enemy, getting the opener and killing them. Almost all encounters in world PvP are unbalanced, and only a very small subset of encounters, in which the participants are equally matched in gear, skill and readiness, would be considered balanced. Asymmetry is a systemic feature of open world PvP. Keep in mind I am talking about persistent world PvP, not PvP that is fenced off in instanced settings like Arenas and Rated BGs. I can throw some factors off the top of my head which would also affect the fairness of most open world PvP games - duration of subscription, size of alliance/clan/corporation/guild, experience, faction/population balance, God-given talent, latency, hardware specs and time available for play. All these will impact the relative balance of any given world PvP game without even factoring in the mechanics or class balance. 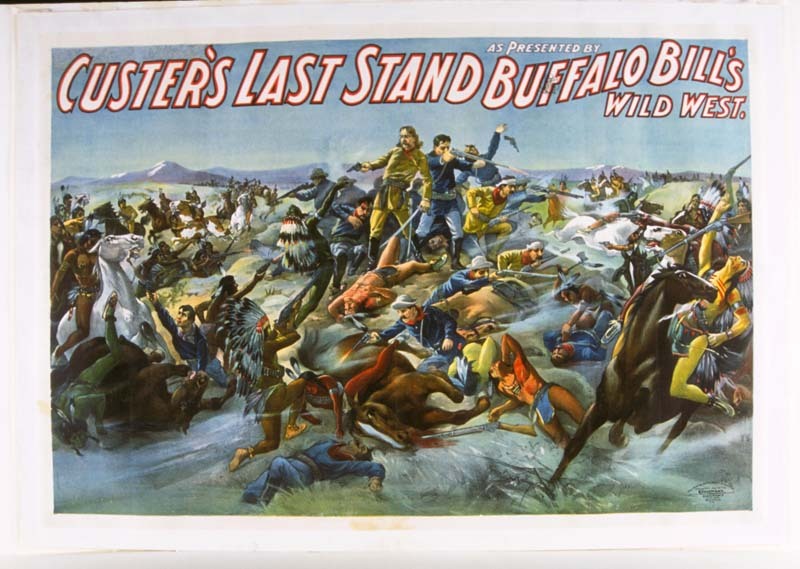 Custer on being overwhelmed at Little Big Horn - "this is so unfair dude, I'm not playing this game no more." I can visualize world PvP games in which every encounter has to be balanced, and once any encounter crosses a certain "fairness" threshold the game has to step in and impose restrictions. But if interactions were regulated in such a way in games it would completely alter the nature of the world PvP, and to a way that would not be to my taste. I wouldn't recognize that type of game as a world PvP game. Games like EVE, Darkfall, DAOC and Planetside 2 wouldn't exist, and if they did, they would be castrated, diluted versions of themselves. I would wager that the existing player base would desert the game in droves - the most common complaint players and prominent bloggers have in EVE Online is that the game is becoming too "easy". Poetic Stanzel, a prominent EVE blogger, recently quit EVE, and the reasons he cites is that CCP is "making it much safer, spending development resources to protect idiots. I want a game where players have to protect themselves. A game that forces players to play smart. A game where players cannot rely on the developer to protect them from their own laziness and ignorance." If you peruse blogs about EVE in the majority of cases any changes advocated by these writers are for less regulation, not more. I would argue that it is important to regulate some aspects of gameplay - protecting new players is important, otherwise you basically kill your own game - but overregulation kills the very thing which makes world PvP interesting for many players. Let's consider some hypothetical solutions to the balance problem in open world games. Should an avatar be expected to walk up to you like Inigo Montoya in "The Princess Bride", help you up the cliff, then wait for you to catch your breath before engaging you in battle left-handed in order to give you a fighting chance? Is this what people truly expect in open world PvP? Should CFC, the dominant alliance in EVE, have left their capital ships at home during the Fountain War because TEST didn't have any and relied on their allies to provide them with cap support? Let's assume that the level differential in WoW didn't exist - everyone is 90 - and everyone was wearing the same type of gear. Would this finally be considered fair? What about if you get jumped by three or four people? Should they cap world PvP to one versus one duels and make people in excess in this number wait in line? What about 2k+ rated players (roughly top 5% of active PvPers and probably less than 1% of the overall WoW population)? Should they be banned from the general population because they represent overpowered threats to the population at large? Perhaps given handicaps when they walk around Azeroth? What about time zones? 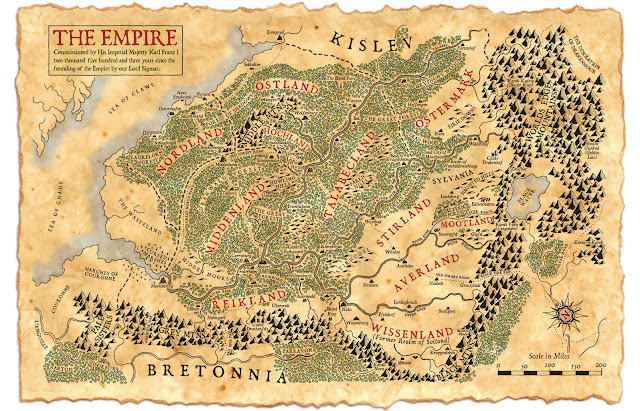 EVE, Darkfall and Evony campaigns are heavily influenced by time zones. Should players in these persistent worlds be immune to attack when they are offline? You could basically turtle up if you were faced with odds against your favor - just log off and you'd be safe. As you can see, attempts to equalize encounters in world PvP leads to very artificial and unnatural scenarios, and destroys the essence of world PvP. Ultimately the fairness argument is just a smokescreen. The real issue is that simply put, people want to retain total control over their gameplay sessions, and I completely get that. They want safety. control and convenience. The argument that I don't do world PvP because I want to do my own thing in my own free time is the strongest and most irrefutable argument one can put forward against non-consensual PvP. But people who argue that they don't do world PvP because it's not balanced completely miss the point - they are looking for aspects of traditional balanced competition in an environment which is fundamentally asymmetrical in nature. Why do rational, self-interested people tolerate seemingly imbalanced encounters which are the norm in world PvP? Clearly it's not to everyone's tastes - there are people who despise world PvP for exactly this reason, and I can't fault them for this. Regardless, people do it all the time - the empirical data is there in the form of subscribers who continually log in and play games like Darkfall, EVE Online, and Planetside 2. Fundamentally I believe people are willing to put up with asymmetry as long as they believe the world they inhabit is one of equal opportunity. Some people will endure asymmetry in their interactions because they think the advantages gained by those in power are attainable by them in the future. The American dream writ small. 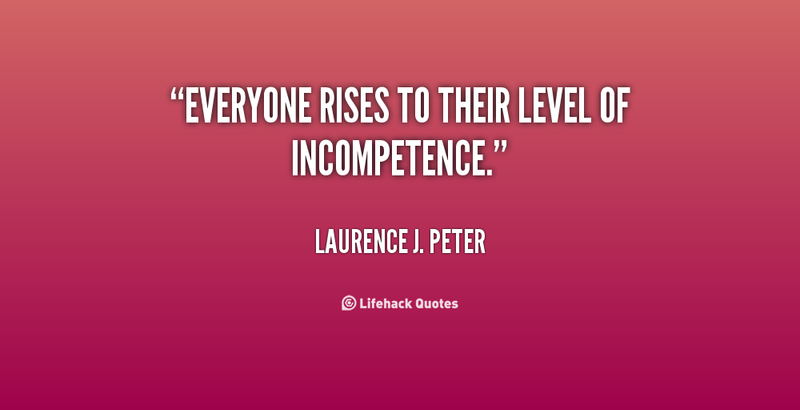 That's one of the reasons why we put up with inequities, injustices, and asymmetry in real life isn't it? Lassez-faire capitalism argues for minimum government and for letting the market sort itself out on its own. Similar principles are at work in world PvP I think. Yes, some people are richer and poorer than others. Some people have more power than others. But as long as players believe that the game offers equal opportunity, they will tolerate it. They accept the imbalances because they think they are smart enough, good enough or cunning enough to overcome these disadvantages and eventually become one of the elite. It becomes a point of pride with them. CCP Soundwave, the former lead designer of EVE Online (and who now works for Riot Games on League of Legends), summarized the enduring attraction of the game with this quote at EVE Fanfest 2013: "Players are not entitled to success, the pinnacle is coveted by many players, but many more will fail on the way." Success or not, people would not play world PvP games if they believed that they didn't have an equal shot at making it to the pinnacle. Let's say that Blizzard came up with a misconceived scheme to reward long time subscribers in which players who joined the game in Vanilla can level up to 100, BC players can level to 95, Wrath to 90, Cata to 85, and new subscribers to 80. This is plainly ridiculous, and the net result would be that only Vanilla players would be left and everyone else would leave. Give everyone the same shot at making 100, though, and people will endure getting ganked and dogpiled because they believe that one day they will make it to the top. 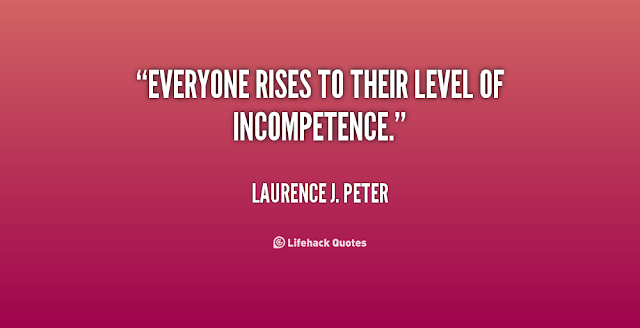 Laurence J. Peter, author of The Peter Principle, also argued that "equal opportunity means everyone will have a fair chance at being incompetent." It's actually a real argument, based on the fact that in fair environments people will keep getting promoted until they reach a position above their abilities and stop there, thus leaving people in jobs they are no longer competent at doing. I included this quote because at first glance I thought it reflected the type of elitism that world PvP players sometimes display. 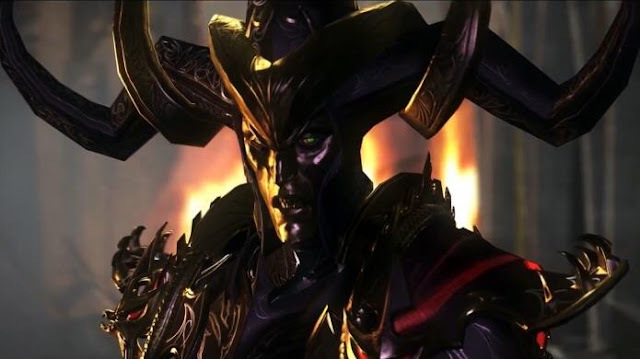 The amount of scorn and derision poured on "idiots" (as per Poetic Stanziel) and "morons and slackers" (as per Gevlon) reflects a mindset commonly shared by players of open world games like EVE and Darkfall - namely the game offers equal opportunities at power, and it is only the incompetence of the bad players that is holding them back. A necessary corollary of equal opportunity is access. It's not enough that players have the capacity to hit maximum level. They must also have the means, or access, to do it. I don't believe ganking is "unfair" because it is "unbalanced." Ganking CAN be "unfair" if it blocks access to power and robs the other player of agency. To illustrate my point, consider the following. If you are a level 20 Alliance character you could conceivably level in Ashenvale, Duskwood, Hillsbrad or the Wetlands (all 20-25 zones). If you wanted to level in 15-20 or 25-30 zones you could triple the number of zones available to you for leveling. That constitutes a significant amount of choice and real estate, and considerably reduces the odds of being ganked. Imagine then a variant of WoW in which only Ashenvale existed, and you could only level in this zone. Every ganker in Azeroth would flock to this location, and your chances of getting pummeled repeatedly increases dramatically. If high level players were allowed to bottleneck lower level players this way it would be "unfair" - not because they were higher - but because they were denying players equal access. It would be bad game design. Equal opportunity would exist in name only (everyone can be 100) but it would remain substantively unfair (people can't get there). We have to be careful here though, because asymmetry doesn't necessarily mean the total removal of agency. It can. The fact that WoW has so many leveling zones, however, disperses the risk to lowbies, while keeping the potential for skirmishes intact. This is also the reason why EVE has highsec and lowsec zones - firstly, as a means of protecting new players, and secondly, as an avenue of retreat for alliances which have been driven out of null sec. Going back to the issue of agency, however, I never felt like a hapless victim in WoW, even when I was getting repeatedly stomped into the turf. I always felt like I had choices - I could level in a different spot; I could wait until the coast was clear; I could call on my mates; I could ask for help in general; I could sniff out the area before venturing forward; I could quest with other people. The crux of the matter remains that people want control over their time. It's not that the ganker has bound you, gagged you and stripped you of all your choices - rather, he/she has taken one choice away from you, namely your initial choice to come to this very spot, and do what you wanted to do, whether it was to quest, farm or whatever. Some people don't want to make other choices, and that is a fair call and they don't play world PvP as a result. As I said, the argument that I don't do non-consensual PvP because I want to control my gameplay in my own time is the best, most unassailable objection you can make. But it's not true that power asymmetry robs you of all agency. You still have choices, and the quality of the game will determine the breadth of these choices. Good games will give you alternative paths to power. Bad games will not. WoW, for me, gave me enough choices that I never felt like I was being stonewalled. I still think WoW world PvP is bad, but not because it never gave me enough options to avoid/mitigate ganking and attain maximum level. 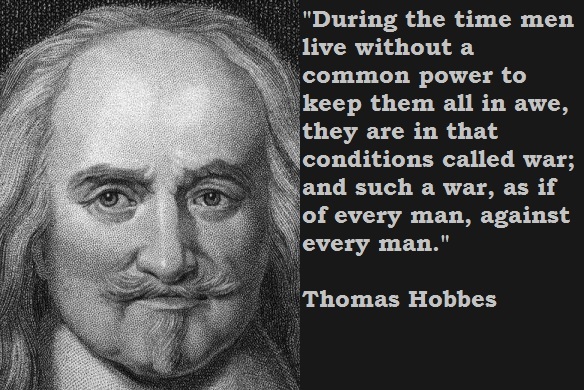 Thomas Hobbes in a nutshell - all men are bastards and will fight to dominate each other if not kept in check by a government to keep them in line. In the same way, gankers and griefers will always exist in world PvP games unless kept in check by the developers of the game. In simulating a war, however, where "force and fraud are the two cardinal virtues" (Hobbes again) is it really a good thing to set artificial limits on what would otherwise be accurate depictions of human nature in a political vacuum? I try never to forget that we are discussing games, but discussing this topic has opened my eyes and made me think about the reasons why we tolerate asymmetry in the real world. In thinking about this topic I couldn't help compare equality and access in games to real life parallels in the civil rights movement and women's suffrage. It made me read up about asymmetrical warfare, which is the military term for conflicts between belligerents of unequal size, and the type of tactics employed by guerillas and insurgents against overwhelmingly powerful enemies. I've also started re-reading political tracts which I merely endured when I was an undergraduate because of my interest in this topic. In the real world I would never condone asymmetries which I think are fine in virtual ones. That is the purpose of legitimate law and government - to mitigate between the powerful and the powerless and to preserve fundamental rights. Virtual worlds are a different story, however, and for me I like my virtual worlds on the harsh and unforgiving side. I'm not alone - there are thousands of players who like these type of games, and they constitute the existing player base of games like EVE Online, Darkfall, DAOC and Planetside 2. In my opinion, all is fair in love and war in persistent worlds AS LONG AS everyone has the same shot at making it to the top. It might seem harsh, but I will always defend a player's right in a world PvP game to attack you anytime, anywhere, especially when you aren't ready. The onus remains with the game designers to make sure that all players have an equal shot at making it to the top DESPITE the best efforts of gankers and griefers by providing multiple routes to power. Asymmetry is fine in persistent worlds of equal opportunity. Your closing thoughts are very interesting :) The opposite is true for me. But here's something else to consider as well: players who want the kind of "might is right" PvP environment are in the very small minority and always have been. I think it says something that most MMO players do not prefer FFA PvP of any kind and we know this by the numbers (FFA pvp games, number of PvP realm types, amount of PvP activity in the open world, etc). And this has been true since Ultima, one of the original FFA PvP MMOs. Trammel continues to be a powerful symbol of the utter rejection of that kind of PvP by the general playerbase :) Gamers, by and large, prefer consensual gaming. OWPvP in games like WoW is unfair because it doesn't offer the player any valid choices. For the choice to be valid it can't involve *not* playing the game. EVE Online is unique and could have an article all it's own dissecting how it does PvP and why it's mostly very enjoyable. But what I want to point out is that EVE is a deeply political and economic game, giving PvP all of its meaning. The asymetry largely balanced in EVE towards fairness. It's got a criminal justice system, security system, powerful AI corps to back it all up ...and of course many lands where lawlessness is the name of the game.And this is why EVE works. Still, the bulk of any given gameplay session in EVE is quiet and boring. I mean, passionate arguments like yours paint a picture of OWPVP lovers spending all day and night just ganking and being ganked because it's so awesome! And it's just not -- most of the time players are doing other things. PvE type things. FFA PvP, at the end of the day, is scarce content that cannot stand as the center of any game. Meaningful PvP just doesn't happen very often in the open world. Open world is overrated. If most of the time nothing is happening, that's a tough sell. And most of the time in open worlds, nothing meaningful is happening. It's gameplay value as a feature is questionable for that reason alone. Thanks for swinging by - I meant to reply earlier but work kept me busy. "FFA PvP, at the end of the day, is scarce content that cannot stand as the center of any game." So true, otherwise I'd just play Counterstrike and Team Fortress 2 over and over again and be done with MMOs. Something has to be at stake to incentivize fighting and make it mean more than the fight itself to make world PvP "meaningful". In balanced games like StarCraft and Arena/Rated BGs the incentive is to advance on the ladder and to push rating. It's different in persistent worlds, and I actually started these posts on "the quest for meaningful world PvP" as a way of trying to work out how to create satisfying incentives for fighting. I think MMOs have great ways of incentivizing open world PvP in a way that will make mean more than just random skirmishes on a map, and it seems that only a select few titles do this well. I think controlling real estate on a map is a great way to make fights mean something more than just a free for all brawl. The big fight in EVE in July was over territory, and the fighting and the political maneuvering involved in that struggle was tremendously interesting for me. That for me is meaningful world PvP done right. I think OWPvP in WoW is bad because it isn't meaningful - the fights have no meaning beyond what the players bring themselves (RP, rivalry, a desire to brawl). As for WoW being unfair because it doesn't offer any valid choices - ah man, we are never going to agree on that one. :D But I agree WoW OWPvP is bad for a number of reasons. Thanks for coming by and taking the time to read and comment. I'm looking at your post The Virtual Life at the moment as well a few others (Milady's The Gaming Dilemma, Syl's Ain't No Shame Where There's Fun, Jane McGonigal's The Game That Can Give You 10 Extra Years of Life, etc.). I'm trying to figure out a reply to Milady's question on your post, which is what the philosophical bases of choosing real life over a virtual one were, but it's currently doing my head in, so I'm taking my time over it. "As for WoW being unfair because it doesn't offer any valid choices - ah man, we are never going to agree on that one. :D"
You're a new player who started as a night elf and has followed quests to Ashenvale (and thus you likely don't know anyone). You are ganked by a level 90 who hovers over your corpse with their 310% speed flying mount (410% of base speed). If you simply rez, you'll be ganked again. You don't have any friends to call on. You can ask in general chat in the hopes of a level 90 is there for some reason (unlikely and let's assume one isn't in this case). You could ask if anyone in general chat would be willing to log onto their 90 to try to drive this ganker away (likely no - better for them to let the ganker camp you instead of someone else and thus possibly them). You can't hearth since you'll be killed before you can get your cast off. There's no scouting involved (the guy is clearly camping you). #3 gets you rez sickness and doesn't even solve your problem. You likely have no idea other level 20-25 zones even exist but I suppose you could try to find them and figure out how to get there - no trivial task for a new player. But while you're doing that and waiting for rez sickness to wear off, you're still not playing the game. Maybe you think #3 is a valid choice. I still think it's a really awful option. I do love this topic right now. It's got me trying to really dissect PvP systems in a way I haven't tried before. I'm sure I will write something about PvP design in the near future. Thank you all for keeping the discussion alive. I think it's extremely interesting because it has so much room for varying perspectives. I disagree with your argument that waiting or logging off is "not playing the game". As far as I'm concerned, doing anything which is designed to produce an in-game result is playing the game, i.e the meta-game. Does researching fights for raids, watching raid videos or looking up optimal builds outside the game itself constitute "playing the game?" Of course it does, because it is designed to produce an in-game result (i.e. downing the boss). Similarly, waiting for five minutes or switching to an alt is a meta-gaming strategy used to produce an in-game result, namely shaking off a ganker who is camping you. If you're still not convinced, consider that timezones in EVE Online and Darkfall are of the utmost importance, so much so that fleets, raids and major battles are organised around them. 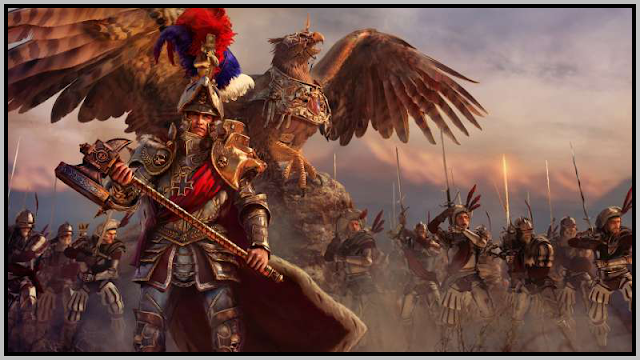 Reinforcement timers allow coalitions time to muster and fight battles at the times most advantageous to them. Read William Arcturus' blog (The Ancient Gaming Noob) on EVE, and observe how a simple thing as relocating to another system has to be planned carefully and in advance, because he has to travel through hostile territory to get there. In his words, "having another game to play when EVE isn't cooperating with your plans is a good idea." EVE players seem to take it for granted that the virtual world has its own rhythms and that it is the players that have to adjust for it. Ask a WoW player to take a five minute break to avoid a ganker and suddenly they have conniption fits. In the end it comes down to personal choice as to what kind of virtual world you want to inhabit. If you value your time and are unwilling to put up with interruptions to your play sessions, then PvE worlds are for you. If you want to live in a world which marches to the beat of its own drum irrespective of what YOU want, then you couldn't do worse than try the living worlds of EVE and Darkfall. Sorry for the late reply mate, I've been to reply for a while, but I just get sidetracked with other things.